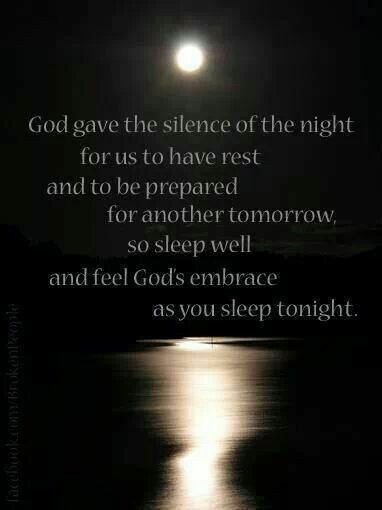 Silence of the Night, Lord: Psalm 4:8. Teach me to carry the torch of peace, That it may reside within my heart also radiate in my surroundings. O God, from whom all holy desires, and all good works proceed; give to Thy children that peace which the world cannot give, that both our hearts may be set to obey Thy commandments, and that we, being delivered from the fear of our enemies, may pass our time, under Thy protection, in rest and quietness. Through Christ our Lord. In this I pray, Amen. Thank you my dearest Denise as you instilled this scripture in my heart today. God Bless you always.